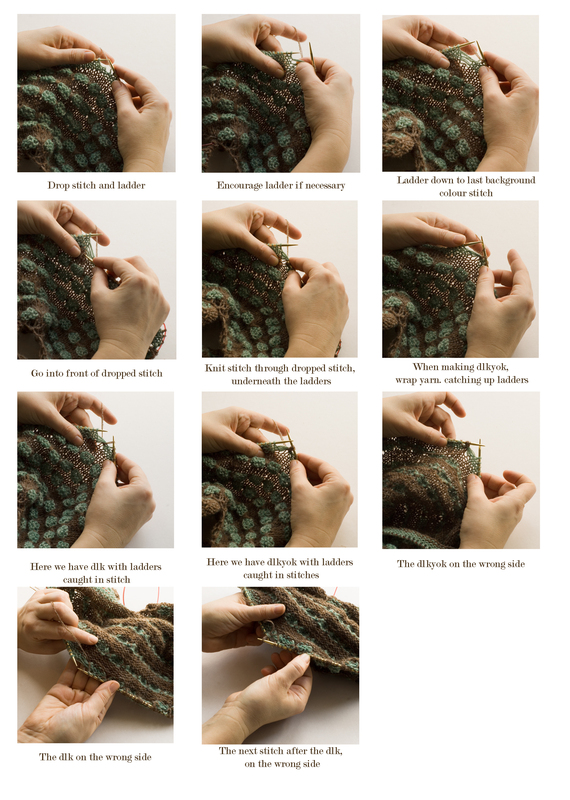 Here are detailed explanations and step-by-step pictures for dropping and laddering Pop Spots Stitches. 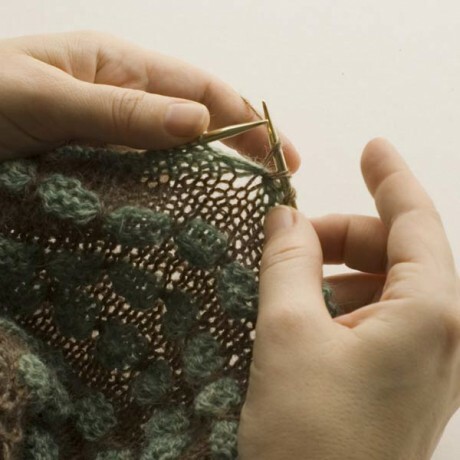 – you will have one stitch of your main colour floating, ready to be caught by your needle and six strands of unravelled yarn in the garter stitch colour. 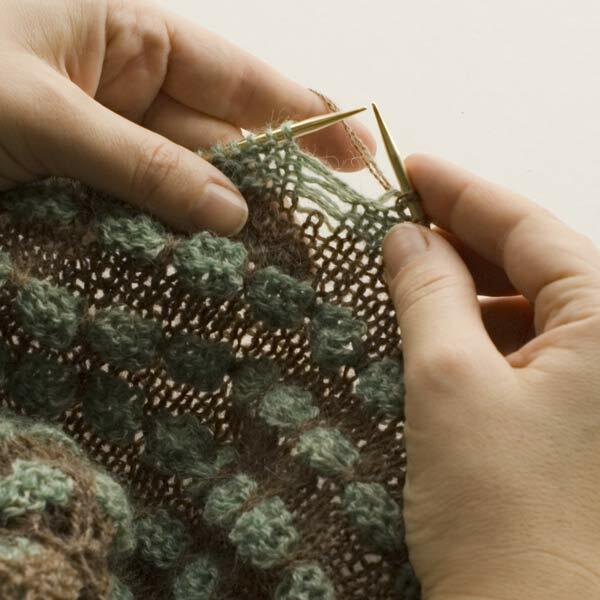 Poke your right-hand needle into that lone stitch in the background colour, from front to back, under the lines of unravelled knitting. 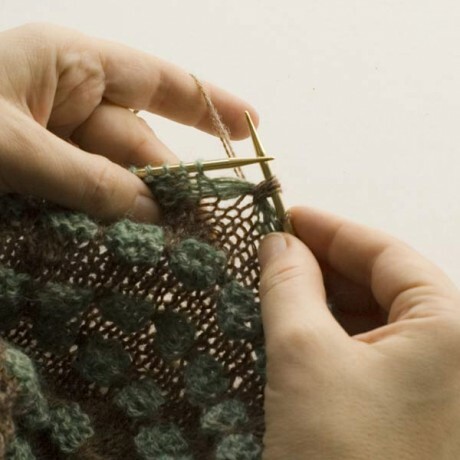 Wrap your yarn round your right-hand needle as if to knit a stitch, pull the yarn through the background stitch, catching all the unravelled ladders. That completes the dlk stitch. and then make another stitch in the front of the dropped stitch, including all the ladders. 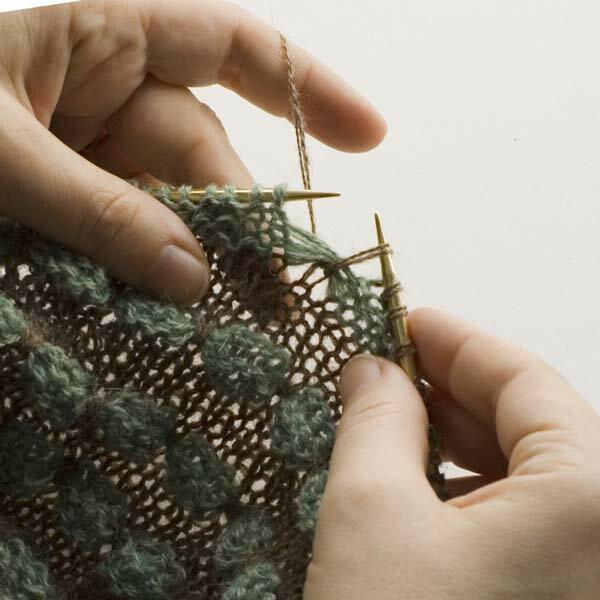 Three stitches have been made from one stitch. Hola! Me encanta el tutorial y el chal el precioso. Thanks so much. I am working my gauge swatch and I plan to make a muffler-type scarf- rectangular rather than shaped. I would love to see the edges with slip3 to get a sense if what I am doing. This is really an adorable pattern. Peut-on esperer une traduction du patron en français ? It’s very difficult for me ….but thank you for pictures ! Do you project to have a french version ?? French version coming next week. Bitte um Muster für Rokkoko stricken . Vielen Dank. Thank you for sharing. The pattern is brilliant and easy to follow. The only “a bit” difficult stage to grasp is where the three stitches come from, but if you follow the instructions it becomes clear. An additional picture after “Yarn over above ladders” and “Knit another stitch under the ladders ~ three stitches in one” might be beneficial for visitors. Thank you for your feedback. 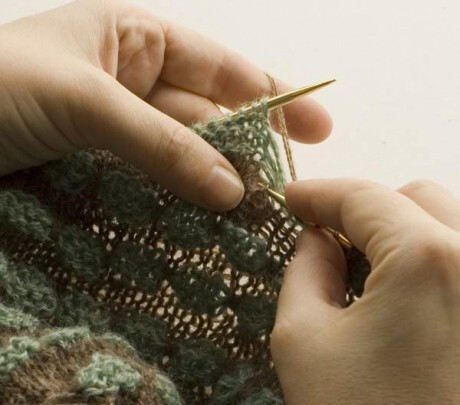 You might want to share your ideas on Ravelry as well, as many knitters use the comment section as a reference for help and advice.